Crispy. Savory. O so healthy. Kale chips! If you’re craving some crunch without the carbs, give these a go. I whipped up a batch last night…make that two batches. Between Evan and I, they were gone! Preheat the oven to 275 degrees F. Remove the ribs from the kale and cut leaves into 1 1/2-inch pieces. Lay on a baking sheet and toss with a light drizzle of olive oil. Season with salt and pepper. Bake until crisp, turning the leaves halfway through, about 20 minutes. 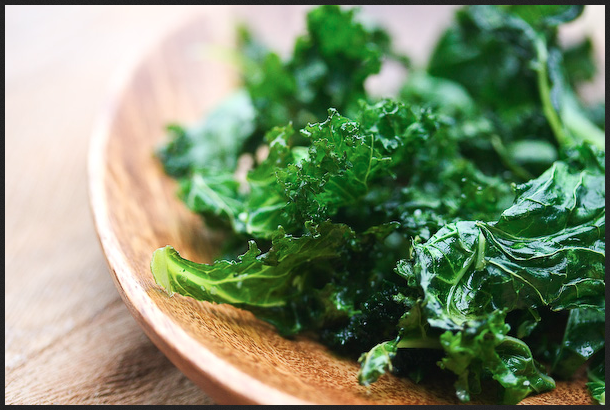 So put any preconceived ideas about kale aside and whip up a batch. They just might become your newest crispy craving.